Multiple analysts are backing SWE early in 2014 predicting significant gains from where it is today. Last year, SWE started to register on the radar of many new investors following constant multiple giant oil discoveries by a similar company Africa Oil Corp (TSX:AOI) , right near SWE’s blocks in Kenya. SWE are exploring the same East African Rift System – one of the biggest oil field discoveries in recent times. A Canadian company called Africa Oil Corp (AOI) were first movers in this region and went from a junior on the TSX to a multi-billion dollar company in 2012. AOI’s stunning success was all down to one thing – continuously striking oil in the Lokichar Basin, Kenya. Now, The Next Oil Rush is hoping to repeat its gains with a much smaller company, operating in the same region, with the same JV partner, sitting on prospects close to AOI’s discoveries... SWE is in a similar position to AOI before the huge re-rate. One SWE prospect (the Kito Prospect) was recently independently assessed, indicating a potential unrisked resource of up to 110.5 million barrels net to SWE . This only one tiny prospect in a small area of a large basin that SWE have an interest in. Add to this the $36M farm in deal in Kenya, highlighting the strong potential of the 12B Block... And the recent acquisition of 200km of 2D seismic over their basins in Tanzania – generating extremely encouraging results , capped off by the discovery of another Neogene Basin... Could all of this pent up potential lead to an oil strike similar to the multiple hits of AOI? SWE are impressed by the Tanzanian results to date, moving steadily into Years 3 and 4 of exploration , on the back of very encouraging results on gravity, magnetic and seismic surveys. This will see SWE maintain their goal of drilling two exploration wells in Tanzania before the end of February 2016. As SWE move forward with their exploration program and lock in multimillion dollar farm in deals, Russia’s US$100 billion energy giant GAZPROM , is currently evaluating the prospects of work in Tanzania. This would be the Russian giant’s first venture in to East Africa, raising the profile of Tanzania’s resources potential. We dare say this interest, along with interest from other state owned oil producers from ‘energy-hungry’ Asia, could see the Tanzanian government soften their proposed approach towards allowing international companies to obtain future licences. At this price, SWE investors are essentially getting these Tanzanian assets for free! Pay all of SWE’s costs associated with any work programme agreed to by a majority vote under the Production Sharing Agreement (PSA) in excess of the work commitment under the PSA. The deal further highlights the industry rush in the region, with big companies clamouring over themselves to get in. Hats off to SWE as they secured acreage well ahead of the pack – the rewards are deals like these. The past performance of these products are not and should not be taken as an indication of future performance. Caution should be exercised in assessing past performance. These products, like all other financial products, are subject to market forces and unpredictable events that may adversely affect future performance. Have you heard about the Next Investors VIP Club? Joining this Club will give you free access to opportunities not normally available to general retail investors – however you must qualify as a sophisticated investor under Section 708 of the Corporations Act. These opportunities are as diverse as stock placements, seed capital raisings, IPOs, options underwritings. Plus a whole host of other high risk, high reward investment opportunities not available to the general public (careful – this stuff is high risk!). Just fill in the form and you will be alerted to the next opportunity. Africa Oil Corp (TSX:AOI) just discovered a further two new large oil fields – which continue their 100% success rate in the South Lokichar Basin. That’s 7 out of 7 successful wells to date! Just in case you haven’t seen AOI before, our Next Oil Rush report called AOI as the ‘ Hot Tip of the Decade’ – before AOI struck oil. The past performance of this product is not and should not be taken as an indication of future performance. Caution should be exercised in assessing past performance. This product, like all other financial products, is subject to market forces and unpredictable events that may adversely affect future performance. AOI were first movers in the East African Rift Basin system – one of the last great rift basins to be explored. 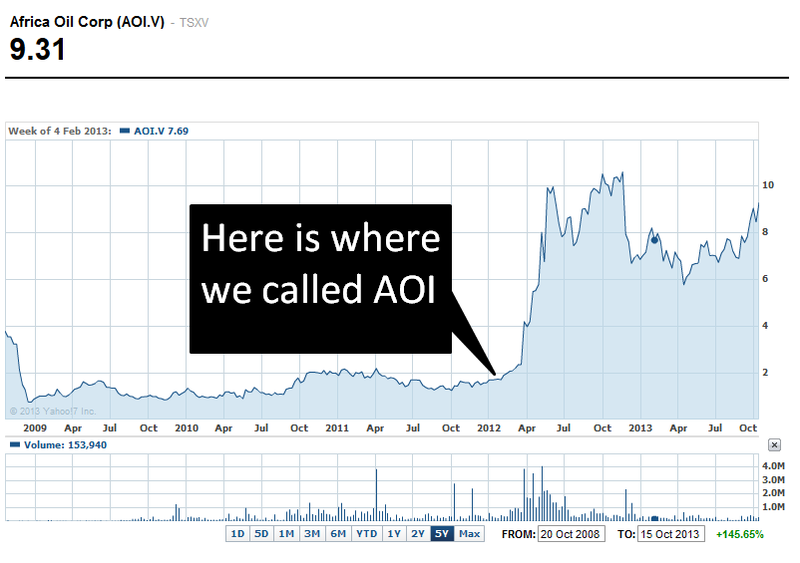 AOI, with JV partner Tullow first struck oil in Kenya in 2012 – transforming AOI into a multibillion dollar company as the share price shot from under $2 to over $9 in the same year. AOI’s oil field discoveries are in the exact same region and geological system as SWE’s prospective blocks. Not to mention that SWE have the exact same JV partner as AOI – Tullow Oil. The Next Oil Rush believes SWE might just be the next AOI, and accordingly SWE is currently one of the largest holdings in our stock portfolio. SWE’s blocks sit in the Kilombero Basin in Tanzania, considered analogous to the Lokichar Basin – the home of all of AOI’s recent multibillion barrel oil discoveries. SWE’s Kilombero Basin has the same age rocks, has a similar depth to basement and the presence of the same trapping mechanisms as AOI’s Lokichar Basin. Recent seismic results indicate a number of leads in SWE’s Kilombero Basin that indicate a possible ‘string of pearls’ – yet another similarity with AOI’s Lokichar Basin. An independent assessment of SWE’s Kito Prospect estimates a net unrisked prospective resource allocated directly to SWE of up to 110.5 million barrels of oil . Whilst SWE’s only obligations are to shoot more seismic, this prospect may be drilled within 12 months. We believe 2014 is set to be a cracker for SWE, and the work programme for Kilombero will continue to unveil the potential in the unexplored larger basins. Multiple analysts continue to back SWE with impressive price targets in the near term. 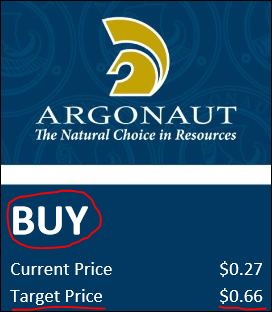 Argonaut’s Dave Wall has placed a price target of well over twice as much as where SWE is today. Russia’s gas and energy giant, Gazprom , one of the world’s largest companies, capped at US$100 billion, is currently looking to Tanzania and evaluating prospects in the country – a sure sign that the region is heating up. When big players like Gazprom show up on the scene, targeting the region as a high potential investment, it indicates Tanzania is looking more and more like a multi-billion dollar investment destination. Energy-pedia has reported that Gazprom International’s specialists will soon complete the examination of geologic and geophysical and other information to determine the prospects of further operation in Tanzania. A positive result will see Gazprom’s first expansion in to East Africa, and with the increased demand from ‘energy-hungry’ Asia, the heavy-weight company will be in a perfect position to cosy-up to and export to the Indian market. SWE can enjoy the eyes of one of the world’s heavyweight producers in the region – reaping any benefits of Gazprom’s potential investment in infrastructure, which has the potential to de-risk SWE’s developments. And in what seems like icing on the cake, recent commentary in The Voice of Russia notes that “China alone intends to invest up to $10 billion in the Tanzanian economy in the next few years”. We here at The Next Oil Rush reckon this will put positive pressure on the Tanzanian government to resolve issues relating to their licencing legislation by May ’14, in time for the fourth licencing round. And all agree that any infrastructure investment in the country will be a huge benefit to SWE, along with confirmation of commercial oil near-by in Kenya greatly de-risking SWE developments. SWE had a great 2013, with share price rises as high 150% since The Next Oil Rush called it. 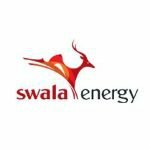 No doubt this had plently to do with SWE’s acheivements in 2013 , which were carried out on budget and in a safe and timely manner – much to the satisfaction of the Tanzanian regulatory body TPDC. Fast-tracked Tanzanian work programme with below budget completion. Completed the seismic programme in Tanzania – Five basins were surveyed in total, four are considered viable. Continued non-dilutory cash management – Raised $4.4MM at an 18% premium in November 2013. Secure additional licences in Zambia – Bidding round in June 2013 but the process has suffered delays – this is still porgressing. The positive relationship between SWE and the Tanzanian Petroleum Development Company (TPDC) was challenged slightly, as the ASX announcement from SWE issued on Feb 14 th notes. The TPDC terminated negotiations for the Eyasi licence, as SWE’s joint bidding partner withdrew from the process. SWE’s bidding partner wished to focus their exploration on their other African interests – of which they have a significant workload ahead of them. The TPDC deemed this JV break up to be a breach of the tender guidelines – despite the joint bidding agreement which allowed either party to withdraw at any stage, with the remaining party assuming the whole of the interests in the licence. The TPDC followed up with a rather unpleasant press release . Whilst on the face of it disappointing for SWE, the important part of the press release was the final line – confirmation that the licence would be re-tendered. The licence was not automatically handed to anyone else. The TPDC stated that the Procurement Act in Tanzania does not cater for non-joint ventures – so when SWE’s bidding partner pulled out there was a legal grey area for the TPDC with no obvious answer... So the TPDC decided to terminate negotiations. Although the Eyasi negotiations have at this stage terminated, we suspect that the likely outcome is that the Tanzanian Minister will call a meeting with the two sides in order to smooth things over, ahead of the re-tendering announced by TPDC. After all, why rock the boat with the likes of Russia and China eying off the region?? So despite the tough press release, it’s our interpretation that the authorities at the TPDC just want to be seen as firm in their conduct and processes. From what we understand, the relationship between the Government of Tanzania and SWE remains strong, and engagement continues. The Next Oil Rush suspects that this is all likely a storm in a teacup. Especially given SWE’s strong performance on their other Tanzanian licences, their social responsibility and their previous excellent working relationship with the TPDC. And to remind SWE investors again, we remain confident, maintaining SWE in our portfolio, as the company continues its exploration of the existing Tanzanian licences, uninterrupted. So what’s next for SWE? Secure additional licences in Zambia – Process is advancing. Advance understanding of Pangani and 12B – Predominately through seismic. Advance at least one new country entry – Several licencing rounds anticipated in EARS region. Secure the Eyasi licence in Tanzania – Once the tender process re-opens. Drill one well into the Kilombero and Pangani basins by February 2016. The Next Oil Rush believes that SWE’s strategy of building a portfolio of highly prospective oil blocks concentrated in East Africa will make them a logical acquisition target for a major oil company who want exposure to the region. And with the eyes of the likes of Russia and China in the region, we expect interest in the region to heat up. Remember that companies like SWE and AOI snapped up all the exciting East African permits in the land grab of 2012 – The Next Oil Rush will be watching developments with interest in this exciting region.